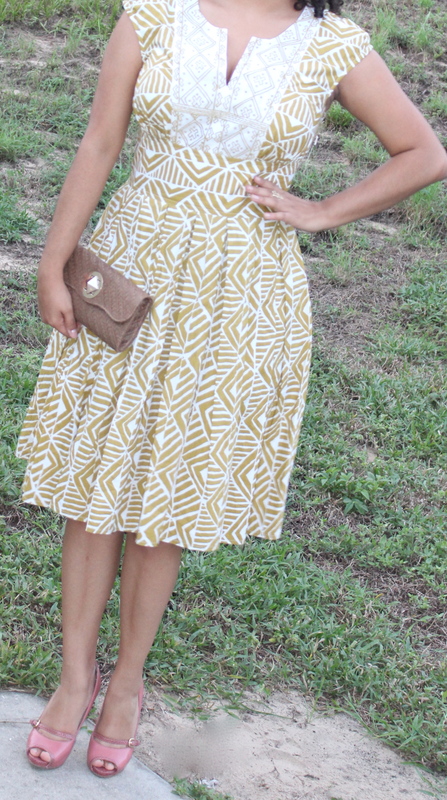 eShakti Custom Dress +Coupon Code! We were contacted a couple of weeks ago from an online women’s clothing company named eShakti with regards to reviewing the site and process of clothing customization. We of course jumped at the opportunity, after all this site boast to cater to women from sizes 0-36W and besides your ready to order items it will customize anything from the site whether its size or style.The following is my impression of my process. -I loved how easy it was to send your measurements and changing aspects of the garment such as length. – The options are beautiful, well made and well suited for many occasions. 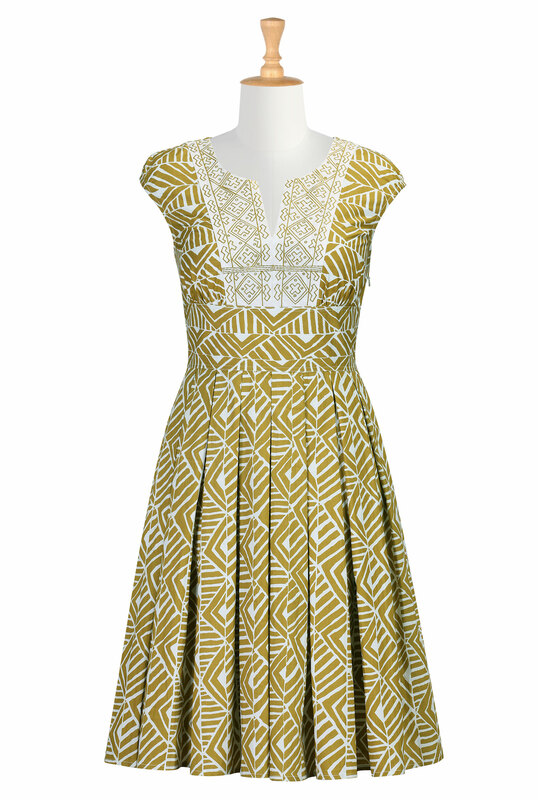 I chose this “embellished print poplin dress” because I was in need of more work place attire and thought this could merge my love for trends and being work appropriate. It is beautiful! It fits perfectly tailored to me and although it is lined it didn’t feel heavy at all and can be worn to transition throughout the seasons. I sent my personal measurements as well as opted to make it at the knee instead below knee-length (since I am only 5’3). It worked out and the olive tone looks great with my pink Nine West heels. The a-line gives me more shape and the high empire waist creates the illusion of curves. I would definitely order from them considering you get to design your own piece from start to finish! They were gracious enough to send us a coupon code for anyone that might be interested in customizing and purchasing something from the site. Good for 10% on any purchase and will only last until September 27, 2014 so hurry and check it out! They have such a great selection of stuff, check it out and use our code!